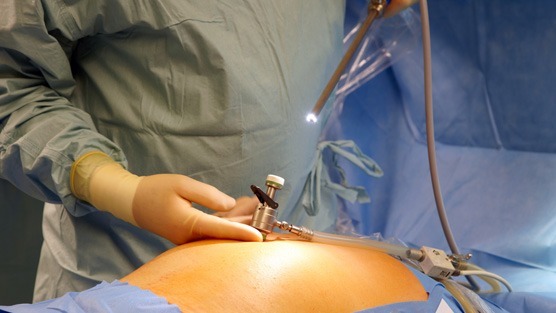 Results from a systemic review and meta-analysis study published in the journal of Investigative and Clinical Urology found that when comparing outcomes between robot-assisted radical prostatectomy (RARP) to laparoscopic radical prostatectomy (LRP), RARP had an improved biochemical recurrence (BCR) rate, potency rate, and continence rate with fewer complications than LRP. Researchers used eligible studies which included randomized controlled trials and prospective and retrospective cohort studies comparing RARP and LRP. Electronic databases were searched for reviews published through July 2014. Reviewed were data synthesis and analysis, statistical analysis along with postoperative complications such as bladder neck contracture, organ injury and other major complications. Also analyzed were operation time, functional outcomes such as urinary incontinence and potency recovery, and oncologic outcomes. This study did concede that there were some limitations mainly due to lack of data on long-term oncologic results following RARP and some of the recently published articles had far larger cohorts which strongly influenced the meta-analysis. It concluded by stating more high-quality studies are needed that minimize confounding and selection biases with long-term follow-up to clarify the clinical efficacy and safety of RARP. Patients newly diagnosed with prostate cancer can contact world renowned prostate cancer robotic surgeon and urologic oncologist Dr. David Samadi at 212-365-5000 for a free phone consultation. To learn more about prostate cancer, visit ProstateCancer911.com.